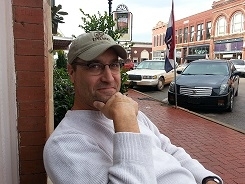 Friends, it is that time in Oklahoma when the weather is beginning to demonstrate a chill. As I watched a pathetic whining lady beg President Obama to bring her a generator on FoxNews last night (11-05-2012), I was reminded it is always good to PLAN AHEAD. President Obama (nor any president for that matter) is not going to bring you a generator. So with that being said, you shouldn’t have to look any further than the devastation in New Jersey to know you should have some way to take care of your own in case disaster strikes. The blizzards of the plains are just a few weeks away. I hope none of my readers are so myopic that they have forgotten what it is like without electricity. The longest Mrs. OkieRover and I have been out of electricity since we have been married was 28 hours. My wife thought it was the end days. Try 28 days. Storing some water and food, having a well thought out plan, and taking just a few precautions doesn’t make you a survivalist whack-a-doodle. It makes you a self-sufficient survivor. And like the classic Aesop’s fable, be the Ant and not the Grasshopper. In fact, owning a shotgun is expressly for the purpose of making sure the bloddy grasshoppers of the world don’t come knocking. You have read my posts about bugging out and being prepared for a Zombie Apocalypse. You now know that you must be able to “ride it out” too. 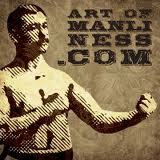 The Art of Manliness (a truly superior website, by the way) has posted another excellent how-to article. I highly recommend you read it and act on it. Act on it now while you have sufficient electricity, water, and fuel to accomplish these tasks. As always, thanks for reading and Happy Rovering. Cory over at Survive the wild.com share is post about bugging in and bunkers. Their site has lots of other posts that you may find helpful when the Zombies come knocking.